The Archbold solid pine bookcases are unfinished ready for your project. Choose FITR bookcase width Choose an option24"30"36"48"
Stained upholstery? Scratch on your nightstand? Relax! Repairs are covered. 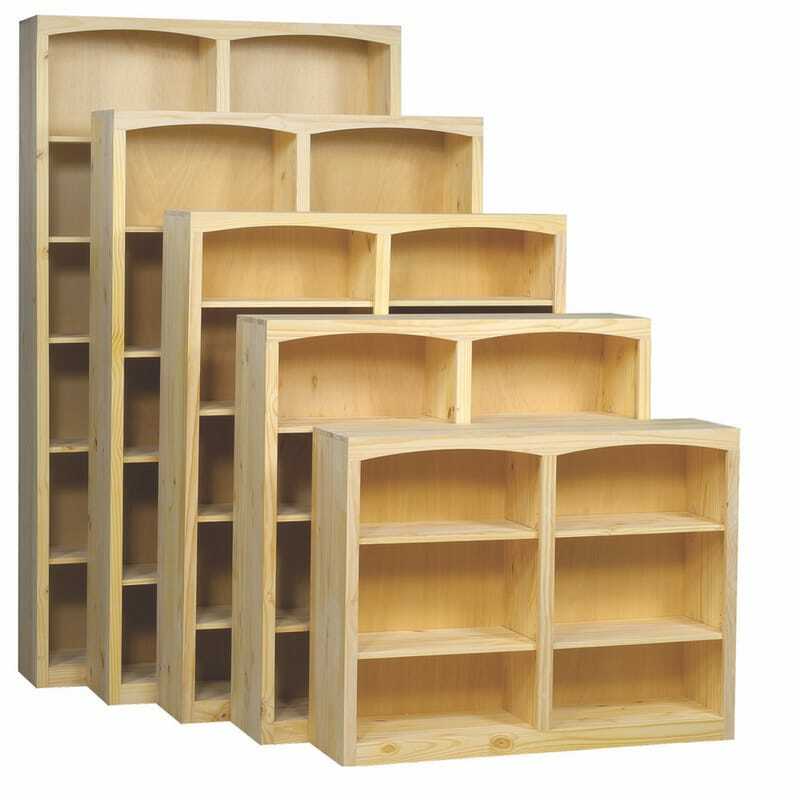 The Arched Solid Pine Bookcase are available in a variety of widths and heights to fit any space. These bookcases are well made by Archbold using solid wood. It features century-old craftsmanship with modern updates, all in solid wood. Enjoy assembled furniture that arrives at your door from an Ohio based company that has been around since 1900. The Arched Solid Pine Bookcase have adjustable shelves and come unfinished for your DIY project or in a variety of paints and stains. You can choose unfinished on this post if you wish to paint or stain it yourself. The solid wood bookcases arrive fully assembled. Bookcases over 72″ tall will have a permanent shelf at 30″. The 48″ wide bookcase will have a center divider with adjustable shelving on both sides. Note: Please allow 2-6 weeks to ship our products. Shipping time will add to your time frame. We are proudly selling real wood products over 40 years with the highest satisfaction rating. Family owned and operated, we are open 7 days a week for Customer Support at 512-451-0213. Once your order is placed, a Customer Service member will reach out to confirm with the anticipated time frame.